DD has gone green! For the 100th time, that is. That’s right, we are proud to announce the opening of our 100th DD Green Achievement restaurant this week in Foothill Ranch, CA. 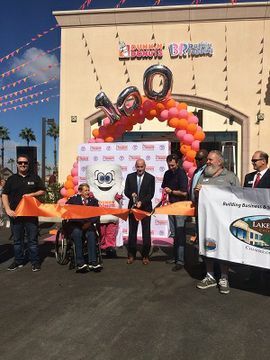 The Dunkin’ Donuts and Baskin-Robbins multi-brand drive-thru restaurant is the first of its kind in Orange Country, CA. 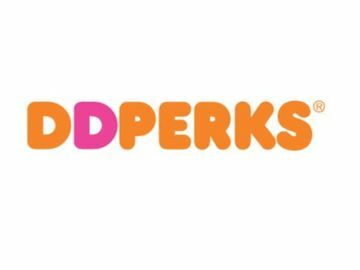 Not only will you be able to enjoy Dunkin’s freshly brewed coffee and delicious baked goods, but also Baskin-Robbins’ premium ice cream and frozen treats under the same roof! Like the 99 DD Green Achievement restaurants before it, it is designed with energy efficiency and sustainability in mind. The newest restaurant features specialty lighting to reduce energy use, high-efficiency mechanical units, water reduction features and more. 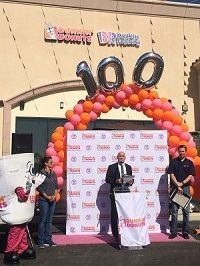 We are so exicteDD to reach this milestone ahead of schedule, we have been celebrating with a number of giveaways, samplings, and more. 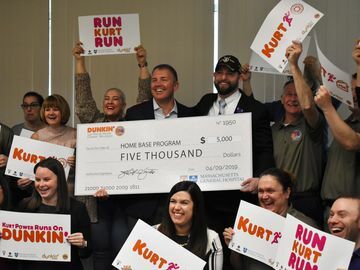 In an effort to contribute to the surrounding community, the restaurant’s franchisees also presented a $1,000 check to the Boys and Girls Club of Lake Forest at the ribbon cutting ceremony earlier this week. If you live anywhere near Orange Country, be sure to stop by! And don’t forget to follow us on Facebook and Twitter for local SoCal updates. 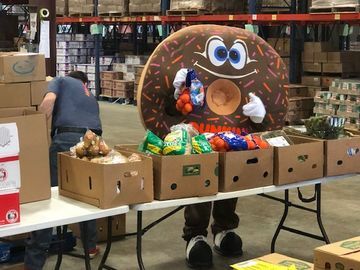 Want to learn more about our DD Green Achievement initiative? Click here.